AL JAZEERA - US president speaks to King Salman as Turkish authorities set to search Saudi consulate in Istanbul. Saudi journalist Jamal Khashoggi entered Saudi Arabia's consulate in Istanbul on October 2 to obtain a document certifying he divorced his ex-wife. He has not been seen since. Turkish sources have told media outlets they believe the Saudi writer and critic was killed inside the consulate in what they describe as "premeditated murder". Donald Trump said on Twitter that he has spoken with King Salman, who "denies any knowledge of whatever may have happened" to Jamal Khashoggi. He also said he would send his secretary of state Pompeo to meet with the Saudi king "immediately." Turkish investigators will search the Saudi consulate in Istanbul on Monday afternoon, the Turkish Foreign Ministry has said according to AP news agency. For the last week, authorities have sought to enter the Saudi consulate, the place where Khashoggi was last seen before his disappearance according to CCTV footage. 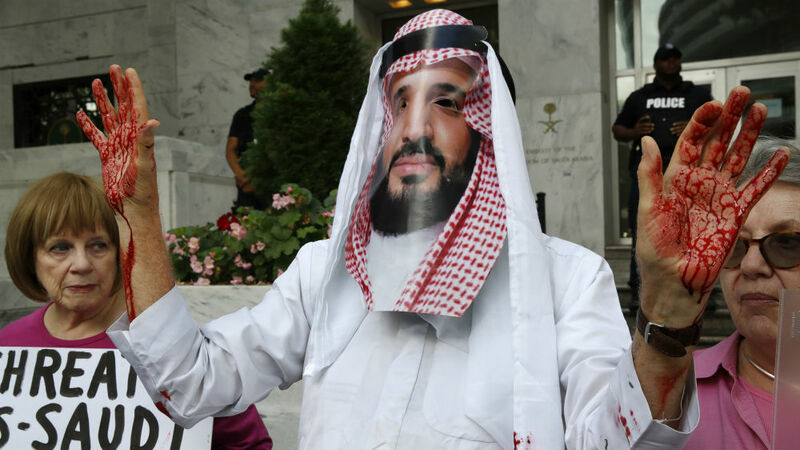 After entering the consulate two weeks ago, Khashoggi disappeared, leading Turkey to claim the journalist was murdered by Saudi officials. Saudi Arabia has denied made against the kingdom all allegations. How will Saudi deal with its stock market plunge? The disappearance of Saudi journalist Jamal Khashoggi is hitting the Saudi economy, with stocks plunging almost 7 percent in early trading on Sunday, wiping out all the gains it had made since the start of the year. The fall came after US President Donald Trump threatened "severe punishment" if Saudi Arabia was found to be responsible for Khashoggi’s disappearance, but Riyadh warned it would retaliate if economic sanctions are imposed on it. What was dubbed "Davos in the desert" is supposed to promote Saudi Crown Prince Mohammed bin Salman's reform vision for the Kingdom. So, where does that leave all his plans? Bahrain's Foreign Minister Khalid bin Ahmed Al Khalifa has voiced his support for a boycott of ride-hailing app Uber over the Khashoggi case. Uber CEO Dara Khosrowshahi has said he would not attend a business conference in the kingdom's ally Saudi Arabia because of its alleged involvement in the disappearance of Jamal Khashoggi. On Twitter, Al Khalifa called for a boycott of Uber in Bahrain and Saudi Arabia, following similar responses to Uber's withdrawal in Saudi Arabia. Similarly, a prominent Emirati businessman called for the boycott of Virgin after its CEO Richard Branson cancelled on the Saudi economic conference. "Now it is time for GCC (Gulf Cooperation Council) to prove their loyalty by boycotting Virgin and Uber and all the companies pulling out of KSA... Together we can prove our unity and that we cannot be bullied," Khalaf Ahmad Al-Habtoor said on Twitter. The sell-off on Riyadh's Tadawul stock exchange shows investors are uneasy, analysts say. The exchange dropped by more than 500 points, then clawed back some of the losses, ending Sunday down 264 points, or more than four percent. Of 188 stocks traded on the exchange, 179 ended the day with a loss. "Something this big would definitely spook investors, and Saudi just opened up for foreign direct investment, so that was big," said Issam Kassabieh, a financial analyst at Dubai-based firm Menacorp Finance. "Investors do not feel solid in Saudi yet, so it's easy for them to take back their funds." Neem Aslam, chief market analyst at ThinkMarkets, said the unstable political situation would likely continue to frighten investors away. "This will become a major concern. If entrepreneurs at these levels decide to cut ties or pullback from investments in Saudi Arabia, the stock market is going to have a huge reaction... Uncertainty for FDI [foreign direct investment] is the worst thing that can happen to any country," he told Al Jazeera. A column by the general manager of the Saudi-owned Al-Arabiya satellite news network suggested Saudi Arabia could use its oil production as a weapon if the US were to impose sanctions over Khashoggi's disappearance. Benchmark Brent crude is trading at about $80 a barrel, and US President Donald Trump has criticised OPEC and Saudi Arabia over rising prices. "The truth is that if Washington imposes sanctions on Riyadh, it will stab its own economy to death, even though it thinks that it is stabbing only Riyadh," said Aldakhil. A Saudi dissident in Canada believes the kingdom hacked his phone and listened to calls he had with Jamal Khashoggi prior to the journalist's disappearance. "For sure, they listened to the conversation between me and Jamal and other activists, in Canada, in the [United] States, in Turkey, in Saudi Arabia," Omar Abdulaziz said in an interview with the Canadian Broadcasting Corporation. A report published recently by the University of Toronto's Citizen Lab concluded that Saudi authorities were "very likely" responsible for hacking his phone with powerful spyware sold only to governments. Abdulaziz said he was working on several projects with Khashoggi in recent months, including a campaign to counter Riyadh's pro-government propaganda on social media. Khashoggi "promised me to sponsor the project and I guess they could listen in to those conversations", he said. "His voice was a headache for the Saudi government." JP Morgan Chase & Co Chief Executive Jamie Dimon and Ford Motor Company Chairman Bill Ford cancelled plans to attend a Saudi investor conference, the latest such high-profile announcements after Khashoggi's disappearance. The cancellations could add pressure on other American firms such as Goldman Sachs Group, Mastercard, and Bank of America to reconsider their plans to attend the high-profile event known as "Davos in the Desert". Neither JP Morgan nor Ford would elaborate on the reasons for the decision not to attend the Future Investment Initiative conference in Riyadh later this month and did not comment on whether concerns about Khashoggi were a factor. Business barons - including British billionaire Richard Branson and Uber CEO Dara Khosrowshahi, as well as media powerhouses like Bloomberg and CNN - have all pulled out. The absence of media and technology executives is likely to cast a shadow over the three-day event, which has become the biggest show for investors to promote Saudi Crown Prince Mohammed bin Salman's reform vision. Turkish President Tayyip Erdogan and King Salman of Saudi Arabia spoke by telephone and discussed the investigation into the disappearance of Khashoggi, according to Turkish presidential sources. They said the leaders stressed the importance of their two countries creating a joint working group as part of the investigation. The king thanked Erdogan for welcoming the Saudi proposal for the joint group and said no one could undermine their relationship. Egypt said it was following with concern the case of Khashoggi's disappearance and called for a transparent investigation into the matter. "Egypt stresses the importance of revealing the truth of what happened in a transparent investigation," its foreign ministry said in a statement. Cairo warned against those who sought to exploit the incident politically against Saudi Arabia and stressed its support for Riyadh's efforts to deal with the situation. The UK's Foreign Minister Jeremy Hunt said Britain would have to think about the appropriate response if it were proven that Saudi Arabia was behind the disappearance of Khashoggi. "I don't want to get drawn into hypotheticals because we don't know the facts yet, but we have been very, very clear that if these stories are true, that would be totally appalling and we would have to think about the appropriate way to react in that situation," Hunt told British television. 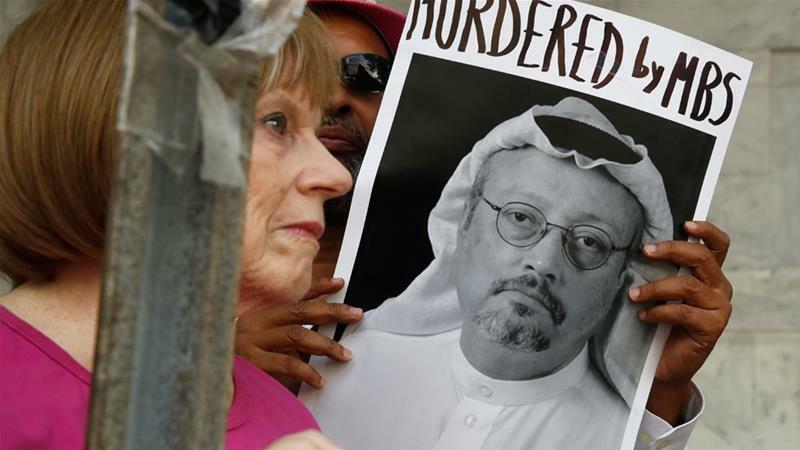 Saudi Arabia thanked countries, including the United States, for "refraining from jumping to conclusions" over the fate of the missing journalist. The Saudi embassy in Washington issued a tweet to clarify an earlier statement in which Saudi Arabia said it would retaliate to international pressure or sanctions with greater measures. The United Kingdom, France and Germany have called on Saudi Arabia and Turkey to mount a "credible investigation" into the disappearance of Khashoggi, adding they were treating the case with "utmost seriousness". "There needs to be a credible investigation to establish the truth about what happened, and - if relevant - to identify those bearing responsibility for the disappearance of Jamal Khashoggi, and ensure that they are held to account," foreign ministers from the three countries said in a joint statement. Treasury Secretary Steve Mnuchin is still planning to attend the three-day Future Investment Initiative scheduled to take place on October 23, White House economic adviser Larry Kudlow said on ABC's "This Week." "Mr Mnuchin will make up his mind as the week progresses and as new information surfaces," Kudlow said. His comments came shortly after Florida Senator Marco Rubio told CNN's State of the Union he believes Mnuchin should boycott the event. Republican Senator Marco Rubio said the US had to react in response to Khashoggi's disappearance or face losing its reputation on human rights. "If we do not take action, including potentially arms sales, as a result of this, if it turns out to be what they say it is, then we are not going to be able to with a straight face or any credibility confront Putin or Assad or Maduro in Venezuela or frankly confront the Chinese and their human rights violations," Rubio said on Sunday in an interview with CBS's Face the Nation. Riyadh dismissed threats of sanctions over the disappearance of Khashoggi and vowed Saudi Arabia would retaliate against such action. "The kingdom affirms its total rejection of any threats or attempts to undermine it whether through threats to impose economic sanctions or the use of political pressure," an official source said, quoted by state news agency SPA. "The kingdom also affirms that it will respond to any action with a bigger one," the source said. Saudi Arabia's Tadawul All-Shares Index (TASI) lost more than 500 points on the first trading day of the week on Sunday, wiping out all the gains it had made since the start of the year. TASI is the largest Arab bourse and has shed almost $50bn of its capital value, dropping to $450bn. Hatice Cengiz, Khashoggi's fiancee, has called for accountability if reports of his murder are true. In an op-ed written for The New York Times, Cengiz said if allegations are proven true, the loss of Khashoggi impacts "every person with a conscience and moral compass. "If we have already lost Jamal, then condemnation is not enough. The people who took him from us, irrespective of their political positions, must be held accountable and punished to the full extent of the law," she wrote. Cengiz, who was invited to the White House by Trump, said she would "consider accepting" such an invitation if the US president helped reveal the truth of what happened to Khashoggi. US Treasury Secretary, Steve Mnuchin, and the UK's International Trade Secretary, Liam Fox, may not attend the "Davos in the Desert", a major investment conference in Riyadh, over concerns that Saudi Arabia is responsible for Khashoggi's reported death. The officials' possible boycott was confirmed to the BBC by "diplomatic sources". If Mnuchin and Fox decide to boycott the Future Investment Initiative conference, they will join investors such as Richard Branson and journalists from The Economist, CNBC and The New York Times, who pulled out of the conference in Riyadh on Friday amid growing concerns over Khashoggi's disappearance. Trump says he will probably call Saudi King Salman tonight or tomorrow about Khashoggi, adding that the case is "not looking too good". Trump also said the US would be "punishing itself" if it halts military sales to Saudi Arabia, even if it is proven that Khashoggi was killed inside the country's consulate in Istanbul. Turkey's top diplomat has reiterated a call to Saudi Arabia to allow Turkish authorities to enter the kingdom's consulate in Istanbul. Foreign Minister Mevlut Cavusoglu said that Saudi Arabia had not yet cooperated with Turkey on the search for Khashoggi. He said that Turkish "prosecutors and technical friends must enter" the consulate "and Saudi Arabia must cooperate with us on this". US President Donald Trump said in a CBS interview that there would be "severe punishment" for Saudi Arabia if it turns out that Khashoggi was killed in the Saudi consulate in Istanbul. Trump said in an interview for 60 Minutes that there was much at stake with Khashoggi case, "maybe especially so" because he was a journalist. Daoud Kuttab, a board member at the International Press Institute, an organisation promoting press freedom globally, said US President Donald Trump's tirades against journalists and claims of "fake news" encourage leaders elsewhere to clamp down on press freedom. "The rhetoric coming out of the White House, coming out of the president, attacks daily on news as being fake news gives the permission to autocratic leaders to take out their own opposition and independent journalists," he told Al Jazeera. "Leaders around the world, and especially autocratic leaders, watch the White House and the president carefully. When the president of the US says that journalists are the enemies of the people, that's music to their ears and the feel like they can get a green light or a yellow light from America to do what they want [to] their own journalists," he said. The United Nations Secretary-General Antonio Guterres expressed fears that enforced disappearances are set to become the "new normal". Speaking to the BBC at the International Monetary Fund meeting in Bali, Guterres said governments must respond appropriately once a "clear answer" on what happened to Khashoggi emerges. "I must say I am feeling worried [at] this apparent new normal," he said. Several members of the British Houses of Parliament have written a letter to Foreign Affairs Minister Jeremy Hunt, calling for a "thorough investigation" into the Khashoggi case. "Clearly this is a very concerning case, with serious implications for the future of Saudi Arabia and her relations with liberal democracies worldwide," a letter written by Mark Menzies, chair of the all-party parliamentarian group on Saudi Arabia wrote in a letter. "The UK must call for a full and thorough investigation into the circumstances surrounding the disappearance of Mr Khashoggi, and stand ready to support all authorities in their inquiries," Menzies continued. The letter was signed by 13 MPs. US President Donald Trump has said he will address Khashoggi's disappearance in a phone call with Saudi's King Salman, after confirming he had not talked to any of the country's officials yet regarding the case. "I will be calling, at some point, King Salman, I'll be speaking to him pretty soon," Trump said. "We're gonna find out what happened with respect to the terrible situation in Turkey having to do with Saudi Arabia and the reporter," he told reporters in Cincinnati, Ohio, on Friday. While avoiding questions of what the conversation would be like, Trump did say that the Saudis and others are looking "very hard and very fast" into what happened to Khashoggi. "It is potentially a really, really terrible situation," he said. According to Turkish authorities, Jamal Khashoggi's smartwatch could potentially play an important factor in solving the disappearance and alleged murder of the Saudi journalist. The authorities have said Khashoggi's smartwatch recorded audio of his meeting inside the Saudi consulate in Istanbul, which was then sent to a phone he gave his fiancee ahead of his meeting. Turkish newspaper Daily Sabah reported on Saturday that Khashoggi's alleged interrogation, torture and murder were recorded in the watch's memory. Sabah, which cited "reliable sources in a special intelligence department" for its report, said Khashoggi was believed to have turned on the recording feature on the phone before entering the consulate. Some technology analysts have expressed doubt at the veracity of the report, Alp Toker, from digital rights group Netblocks.org told Al Jazeera on Saturday that it was not clear if Khashoggi's watch had syncing capabilities or if the other devices were within range at the time. "It's not out of the realm of possibility, but looking at the facts of the situation, it is quite difficult to see the conditions when this could have happened," he said. Christine Lagarde, managing director of the International Monetary Fund (IMF) has said she will attend a high profile economic conference in the Saudi capital Riyadh, despite criticising the Saudi government for their alleged involvement in the disappearance of Khashoggi. "Human rights and freedom of information are essential rights," Lagarde said. "Horrifying things have been reported, and I am horrified but I have to conduct the business of the IMF in all corners of the world." "When I visit a country I always speak my mind, so at this point in time I will not change my plan." On Friday, several key attendees of the investment conference, including the heads of Uber, CNN and FT, who said they will not be part of the event. Saudi Arabia's Minister of Interior Abdulaziz bin Saud bin Naif bin Abdulaziz has denied allegations regarding the disappearance and alleged murder of Khashoggi. He said that allegations about orders to murder Khashoggi were "lies" targeting the government, according to the official Saudi Press Agency. A spokesperson for the Future Investment Initiative set to take place in the Saudi capital Riyadh on October 23 said the event will move ahead as planned. "While it is disappointing that some speakers and partners have pulled out, we are looking forward to welcoming thousands of speakers, moderators and guests from all over the world to Riyadh from Oct. 23-25," the spokesperson said in a statement. Several US media organisations and business leaders have withdrawn from the conference over the disappearance and suspected murder of Khashoggi. French President Emmanuel Macron said he was "extremely worried" about the Saudi journalist's disappearance. "I am waiting for the truth and complete clarity to be established," Macron said in an interview with France 24. "What's being mentioned is serious, very serious [...] France wants everything to be done so that we have all the truth on this case of which the first elements are extremely worrying." Macron said he will take a final stance once the facts are established and would discuss the matter with leaders from Turkey and Saudi Arabia. CNN and The Financial Times became the latest media agencies to drop out of a Saudi investment conference on Friday. They join journalists from The Economist, CNBC and The New York Times, who pulled out of the Future Investment Initiative conference in Riyadh earlier on Friday amid growing concerns over Khashoggi's disappearance. US Treasury Secretary Steven Mnuchin said he was still planning to attend the conference. "If more information comes out and changes, we can look at that, but I am planning on going," he told CNBC. France's foreign ministry said on Friday that it had asked Saudi Arabian authorities to provide detailed answers over the question of what happened to Khashoggi. "The disappearance of Jamal Khashoggi in Istanbul ... has raised serious questions about his fate. France asks that the facts be clearly established and that all those who can contribute to the truth fully contribute to it," Agnes Von der Muhll, a foreign ministry spokeswoman said in a statement. "This is the message we passed to Saudi authorities. The charges brought against them require that they be transparent and provide a complete and detailed response". A delegation from Saudi Arabia has arrived in the Turkish capital, Ankara, for an investigation into Khashoggi's disappearance, according to two Turkish sources cited by the country's Anadolu news agency. Turkish state media also reported the arrival. The visit follows an announcement on Thursday that Turkey had accepted a Saudi proposal to launch joint investigations into Khashoggi's disappearance. Rights group Amnesty International has called for Saudi Arabia to reveal Khashoggi's "fate and whereabouts at this time". "The responsibility is clear for the kingdom of Saudi Arabia," said MENA Regional Director, Heba Morayef. During a press conference on Friday, which covered several regional issues, including the war in Syria, Morayef said the possibility of Khashoggi being forcibly disappeared was worrying. "It is during enforced disappearances that torture happens and that killings can happen so [this is] at the minimum an enforced disappearance and - if it’s true that he was assassinated inside the embassy - then [Saudi Arabia] would also be responsible for extrajudicial executions," she said. US and Turkish officials told The Washington Post there are audio and video recordings proving Khashoggi was tortured and murdered inside the Saudi consulate in Istanbul. Video recordings show a Saudi assassination team seizing the journalist after he walked in on October 2. He was then killed and his body dismembered, the officials told the Post - the newspaper that Khashoggi wrote for as a columnist. The audio was particularly gruesome, the sources said. "The voice recording from inside the embassy lays out what happened to Jamal after he entered," said one official speaking anonymously because the intelligence is classified. "You can hear his voice and the voices of men speaking Arabic. You can hear how he was interrogated, tortured, and then murdered." Another unnamed official confirmed men could be heard beating Khashoggi on the recording. It was unclear how the Turkish and American officials obtained the recordings. David Katz, CEO of Global Security Group, told Al Jazeera the intelligence officials quoted by The Washington Post likely have audio and video that clandestinely recorded Khashoggi's killing. "There is clearly tension between the Saudis and the Turkish government, so that suggests Turkey is going to be directing its very considerable intelligence apparatus at everything to do with the Saudi government in Turkey for sure," said Katz. "So it's very possible that they do in fact have audio and video recordings of things that have gone on inside the consulate, whether that was bugs planted or electronic intercepts. So you wouldn't really need full forensics if you have evidence of that nature. And if the report in The Washington Post is correct, that's apparently what they have." Katz said spies have "robust electronic devices" that can allow them to listen to what's going on inside buildings from outside. "You'll actually hear what happened, you'll hear the voices. There was a suggestion there was an interrogation followed by a very brutal murder. If that's the case - and if that's on audio and/or videotape - you don't need anything else. That's the case right there." Khaled bin Farhan al-Saud, a Saudi prince living in exile in Germany, told The Independent that luring dissidents to meetings to "disappear" them is a common strategy used by Saudi leaders. Al-Saud alleged Saudi officials plotted to abduct him days before Khashoggi vanished, adding that it was part of a plan by Crown Prince Mohammed bin Salman to keep adversaries quiet. "Over 30 times the Saudi authorities have told me to meet them in the Saudi embassy, but I have refused every time," al-Saud told the UK newspaper. "I know what can happen if I go into the embassy. Around 10 days before Jamal went missing, they asked my family to bring me to Cairo to give me a cheque. I refused." He said at least five Saudi royals last week approached the leadership in Riyadh about Khashoggi's disappearance, and they were detained. "Just five days ago a group tried to visit King Salman saying they were afraid for the future of the al-Saud family. They mentioned Mr Khashoggi's case. They were all put in jail," said Saud. Everyone is "scared", he added. Media companies are pulling out of a Saudi investment conference because of growing outrage over Khashoggi's disappearance. Andrew Ross Sorkin, a CNBC anchor and New York Times business journalist, tweeted he was not attending the conference, saying he was "terribly distressed by the disappearance of journalist Jamal Khashoggi and reports of his murder". The New York Times also decided to pull out of the event as a media sponsor, spokeswoman Eileen Murphy said. The Financial Times said in a statement that it was reviewing its involvement as a media partner. British billionaire Richard Branson said his Virgin Group would suspend its discussions with Saudi Arabia's Public Investment Fund over a planned $1bn investment in the group's space ventures. Branson also said he would suspend his directorship in two Saudi tourism projects around the Red Sea, citing Khashoggi's disappearance. Last year, Saudi Arabia's Public Investment Fund said it planned to invest about $1bn in Branson's space company, Virgin Galactic, The Spaceship Company and Virgin Orbit. "We have asked for more information from the authorities in Saudi and to clarify their position in relation to Mr Khashoggi," Branson said on Thursday. U.S. President Donald Trump said on Thursday that the United States has investigators overseas to assist Turkey in its investigation of the journalist's disappearance and that they were also working with Saudi Arabia. Prominent Palestinian-British activist and TV presenter Azzam Tamimi dedicated his show on Thursday night to his missing friend and fellow journalist Jamal Khashoggi. The Saudi writer was supposed to be a guest on the programme on the Alhiwar TV Channel to talk about his future projects. Instead, the studio featured a framed photograph of Khashoggi. Tamimi said he saw Khashoggi in London after his first visit to the Saudi consulate and the day before his disappearance. "Well, I was horrified because he assured me when we were in London that there was nothing to be concerned about. He said on Friday he had been to the consulate. 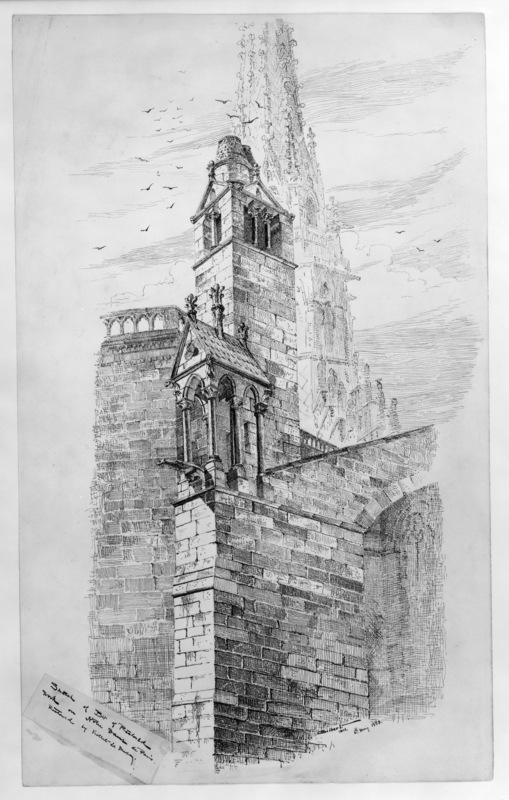 They received him very well although they were initially surprised to see him and promised him that if he came back again a few days later, they would issue him the papers he was after. "So he felt it was okay, but apparently they prepared a trap for him," Tamimi said. US Senator Lindsey Graham told Al Jazeera that he has read US intelligence that points to the Saudi government's involvement in the disappearance of Khashoggi. "I've already seen the intel. It was very unnerving. You don't have to be Sherlock Holmes to figure this out," Graham said. "If it turns out that this man was killed or mistreated by the Saudi government, we expect stuff like this from [Russian President Vladmir] Putin and we come down hard on him when he does it. So, everything we did to Putin, I want to do to Saudi Arabia," Graham added. Senator Bob Corker of Tennessee, chairman of the Senate Foreign Relations Committee, told Al Jazeera: "Everything that we know points to the Saudi government and yet none of us want to jump to conclusions. If I had to bet today, they ordered it, they killed him and probably very high-level people were aware of it." "We have got to send a signal early on that going around killing journalists is totally inappropriate and if he [Saudi crown prince] has been involved there's got to be sanctions." Prince Khalid bin Salman, Saudi Arabia's ambassador to Washington heads back to Riyadh to gather information on the whereabouts of Khashoggi. "I'm told that he's headed back to his home country, and we expect some information when he gets back," State Department spokeswoman Heather Nauert told a media briefing. Turkey's official Anadolu news agency reported a Turkish official as saying that Ankara and Riyadh will form a joint group to look into Khashoggi's disappearance. Earlier in the day, Sarah Leah Whitson, Middle East director at Human Rights Watch, warned against Saudi Arabia's participation in the official probe. "Given that Saudi Arabia will not provide any evidence about Khashoggi's movements in and out of the consulate, they cannot be trusted to conduct a genuine - far less effective - investigation," Whitson said. Istanbul's public prosecutor said he would continue the current investigation separately. Turkish foreign minister Mevlut Cavusoglu has promised to share the results of the probe into the journalist's disappearance. "We will share with the international community everything we will learn in the course of the investigation," Cavusoglu said in a televised announcement during a trip to Iraq. US Senate Foreign Relations Committee Chairman Bob Corker said sanctions will be imposed at the "highest levels" of the Saudi leadership if Riyadh is found to have a hand in the disappearance of Khashoggi. "If it turns out to be what we think it is today but don't know, there will have to be significant sanctions placed at the highest levels," the Republican senator said. US President Donald Trump said he saw no reason to block Saudi Arabian investments in the US despite concern over Khashoggi's disappearance, saying the Gulf nation would then just move its money into Russia and China. Trump, speaking to reporters at the White House, also said the US was expecting a report soon on the case, but gave no other details. Al Jazeera's senior political analyst Marwan Bishara said Washington had to act and pressure the Saudis if it wanted to defend its credibility. "We cannot ignore the fact that there is huge public pressure brewing now in the United States, in Europe and indeed around the world," Bishara said. "There is a moral aspect to it as well as an economic and geopolitical one. That's why I said the only way for a win-win situation whereby the US can have the moral upper hand on this is by pressuring the Saudis which will allow them to continue the economic and military relationship with Riyadh." The United States has investigators overseas to assist Turkey in its investigation of the disappearance of Khashoggi, US President Donald Trump said on Thursday, adding that they are also working with Saudi Arabia. "We're being very tough. And we have investigators over there and we're working with Turkey, and frankly, we're working with Saudi Arabia. We want to find out what happened," Trump said in an interview with Fox News' Fox & Friends programme. US Kentucky Senator Rand Paul demanded a halt in military support to Saudi Arabia until Khashoggi is "returned alive". In an article in The Atlantic, Paul said that he planned to introduce legislation to scrap "all funding, training, advising, and any other coordination" with the kingdom until they received confirmation that the journalist is alive. "The regime must be held accountable for Jamal Khashoggi," he said. Turkish President Recep Tayyip Erdogan has increased pressure on Riyadh over the disappearance of Khashoggi, saying that Ankara 'cannot remain silent to such an incident". Speaking to reporters as he returned from a visit to Hungary, Erdogan expressed disbelief at Saudi claims that Khashoggi disappeared without being picked up by security cameras after leaving the consulate. "How is it possible for a consulate, an embassy not to have security camera systems? Is it possible for the Saudi Arabian consulate where the incident occurred not to have camera systems?" he said. "If a bird flew, if a mosquito appeared, these systems would catch them and [I believe] they would have the most advanced of systems," he said. Erdogan added that the investigation by Turkey's legal, security and intelligence bodies is ongoing. Turkish investigators have heard testimony from a source who was inside the Saudi consulate at the time of Khashoggi's disappearance who claims to have heard sounds of a struggle, according to Al Jazeera's Jamal Elshayyal, reporting from Istanbul. "I have learned earlier that, among the evidence with the investigation is testimony from inside the consulate at the time that Jamal [Khashoggi] was there, which includes hearing sounds of loud screams and shouting, as well as calls for help and the sound of a struggle and then sudden silence," he said. Turkish foreign ministry sources denied to Al Jazeera that Saudis rescinded their authorisation for Turkish authorities to search the Saudi consulate in Istanbul. The ministry's remarks came after some media outlets claimed that Saudi Arabia cancelled an offer to allow Turkish authorities onto the premises after Turkish state-owned media published a list of the 15 Saudi nationals who allegedly arrived in Istanbul on the same day Khashoggi disappeared. Turkish investigators are also requesting to search a number of vehicles registered to the consulate, along with the home of the consul general, which is a few hundred metres from the consulate, after a van with tinted windows was seen leaving the consulate and driving to the home a couple of hours after Khashoggi entered. The identities of at least eight of the alleged 15-member Saudi "assassination squad" that Turkish authorities believe carried out Khashoggi's assassination are beginning to come to light. The head of the forensic unit in the Saudi defence forces, a former head of intelligence at the Saudi Arabian embassy in London and several special forces officers are among the group, which flew into Istanbul on Tuesday, October 2, Al Jazeera reports. All 15 men had booked four nights in hotels near the Saudi consulate but left Turkey less than 24 hours after arriving. "He said: 'Are you kidding? I don't trust them one bit,'" said Khaled Saffuri, an Arab American political activist, recounting a conversation he had with Khashoggi in May. Asked in a telephone interview with Fox News Channel late on Wednesday whether the Saudis were responsible for Khashoggi's disappearance or death, Trump said: "I guess you would have to say so far it's looking a little bit like that, and we're going to have to see." During the interview, Trump expressed reluctance to act on calls to withhold US arms sales to the kingdom, saying that US jobs and economic strength are tied to such trade deals. "Part of that is what we're doing with our defence systems and everybody's wanting them. And frankly, I think that would be a very, very tough pill to swallow for our country. I mean, you're affecting us and, you know, they're always quick to jump that way," he said. More than 20 Republican and Democratic senators instructed Trump to order an investigation into Khashoggi's disappearance under legislation that authorises imposing sanctions on perpetrators of extrajudicial killings. US Senator Chris Murphy said if Saudi Arabia had lured a US resident into a consulate and killed him, "it's time for the United States to rethink our military, political and economic relationship with Saudi Arabia". Senator Rand Paul, a long-time critic of the Saudi government, said he'll try to force a vote in the Senate this week blocking US arms sales to Saudi Arabia. He said he wants to end arms shipments if there's "any indication" the Saudis are "implicated in killing this journalist that was critical of them". Karen Elliott House, a veteran writer on Saudi affairs and chairwoman of the board of trustees at RAND Corp, said US support for the Yemen war is likely to be the focus of congressional criticism, but it won't endanger a relationship that has endured for decades, underpinned by shared strategic interests. "The US-Saudi relationship is certainly not about shared moral values," House said. "It's about shared security interests." The Saudi ambassador to Washington, Prince Khalid bin Salman bin Abdulaziz, has described the allegations as "malicious leaks and grim rumours" and said the kingdom is "gravely concerned" about Khashoggi. The White House said National Security Advisor John Bolton and Senior Advisor Jared Kushner - Donald Trump's son-in-law - spoke to Saudi Crown Prince Mohammed bin Salman about Khashoggi's disappearance over the past two days. "In both calls, they asked for more details and for the Saudi government to be transparent in the investigation process," White House spokeswoman Sarah Sanders said in a statement. Twenty-two US senators signed a letter to President Donald Trump triggering a US investigation into whether human rights sanctions should be imposed on Saudi Arabi over Khashoggi's disappearance. In the letter, the senators said they triggered a provision of the Global Magnitsky Human Rights Accountability Act, requiring the president to determine whether a foreign person is responsible for a gross human rights violation. "Our expectation is that in making your determination you will consider any relevant information, including with respect to the highest ranking officials in the government of Saudi Arabia," the senators said. Trump told reporters earlier he raised Khashoggi's case with Saudi Arabia "at the highest level" and more than once in recent days. "We want to see what's going on. It's a very serious situation for us and for this White House... We want to get to the bottom of it," said Trump. Ernest Moniz, who served as President Barack Obama's energy secretary, said he has suspended his role on the board of Saudi Arabia's planned megacity NEOM until more is known about the fate of Khashoggi. "I share the deep concerns of many about the disappearance and possible assassination of Jamal Khashoggi at the Saudi Consulate in Istanbul," Axios cited Moniz as saying. The New York Times writes that Saudi officials on Tuesday began for the first time to contact Turkish counterparts for secret talks about Khashoggi's disappearance. "The Saudis have told Washington that they believe they can smooth over the issue, according to both Turkish and American officials briefed on the discussions," the NYT wrote. A Turkish security official told Reuters news agency the Apple smartwatch Khashoggi was wearing at the time of his disappearance was being looked into by Turkish investigators. They said the watch was connected to a mobile phone Khashoggi left outside and security and intelligence agents in Turkey believe it may provide important clues as to Khashoggi's whereabouts or what happened to him. If the watch and phone were connected to the internet and the devices were close enough to synchronise, data from the watch - saved to the cloud - could potentially provide investigators with information such as the journalist's heart rate and location. "We have determined that it was on him when he walked into the consulate," a security official said. "Intelligence services, the prosecutor's office, and a technology team are working on this." President Donald Trump says the US is "demanding" answers from Saudi Arabia about Khashoggi and that he wants to bring his fiancee to the White House. "People saw him go in and didn't see him come out. We're going to take a very serious look at it. It's a terrible thing," Trump said. "This is a bad situation. We cannot let this happen - to reporters, to anybody." Turkish media have published images of an alleged 15-member Saudi "assassination squad" and video of suspicious movements at the Saudi consulate in Istanbul following Khashoggi's disappearance. Saudi Arabia remained silent as the images, though not offering definitive proof about Khashoggi's fate, played across television networks in Turkey and around the world. News channel 24, a private Turkish TV channel close to Erdogan, has aired surveillance video of Khashoggi walking into the Saudi consulate and a black van leaving later for the consul's home. The channel aired the video, suggesting that Khashoggi was inside of the black Mercedes Vito. It said the van then drove some to the consul's home, approximately 200 metres from the consulate, where it parked inside a garage. Khashoggi's fiancee, Hatice Cengiz, is asking Trump and first lady Melania to "help shed light" on his disappearance. In a column published Wednesday by the Post, she wrote: "I also urge Saudi Arabia, especially King Salman and Crown Prince Mohammed bin Salman, to show the same level of sensitivity and release CCTV footage from the consulate." AFRICA: What is there for Rwanda to spy on in Uganda? Liked on YouTube: Has Ugandan security lost it? Martha Leah Nangalama. Simple theme. Powered by Blogger.